If you have any special favourites, please feel free to send in your recipes, with pictures. 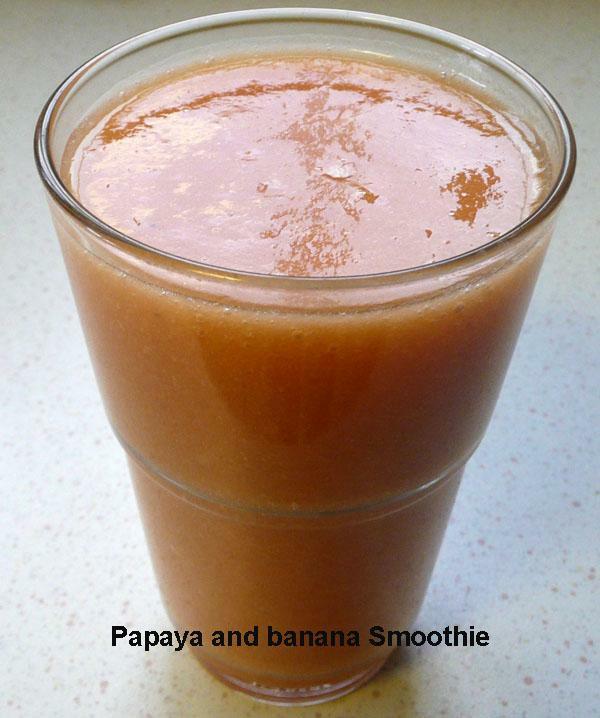 Smoothies, as their name implies, are drinks made from pureed fruits, often mixed with a fruit juice (fresh or from a carton) or yoghurt or lemonade. Personally, I am not in favour of fizzy drinks and prefer fresh ingredients. 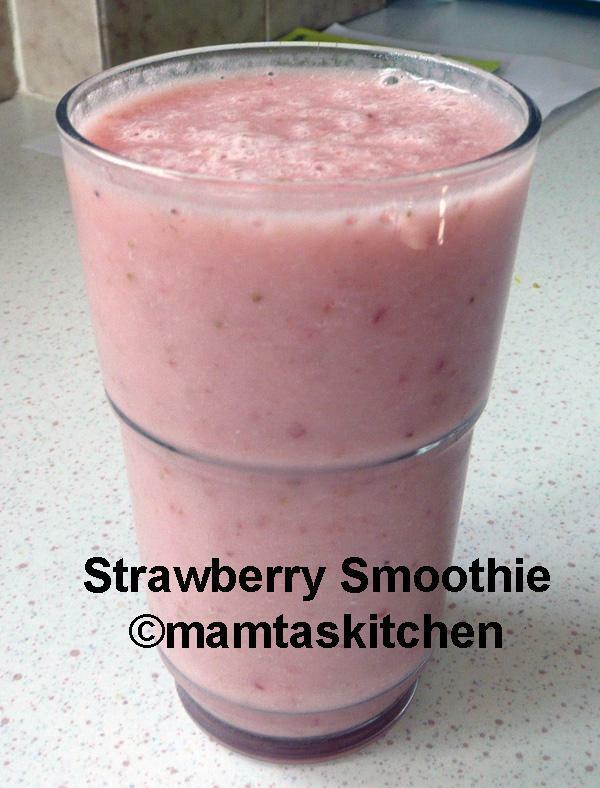 The smoothies made with yoghurt are more filling. You can use up fruits that are lying around in the house, perhaps a little over ripe! 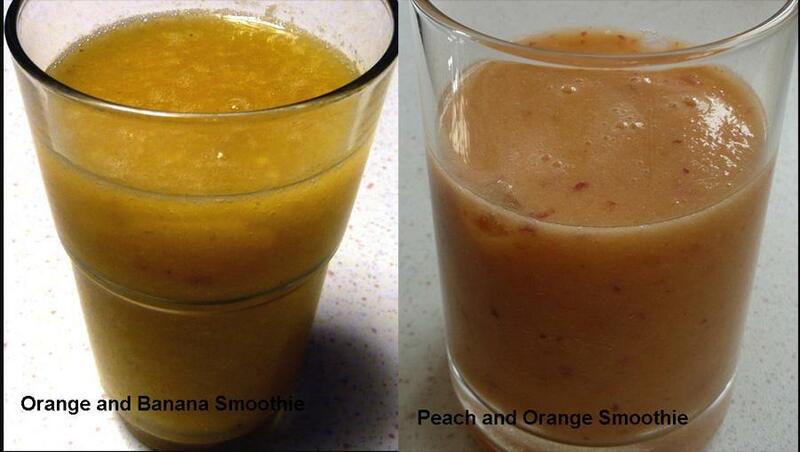 For best results, use fresh fruits and mix a sweet fruit with a slightly tart fruit. To sweeten further, you can add sugar, honey or an artificial sweetener (for diabetics). 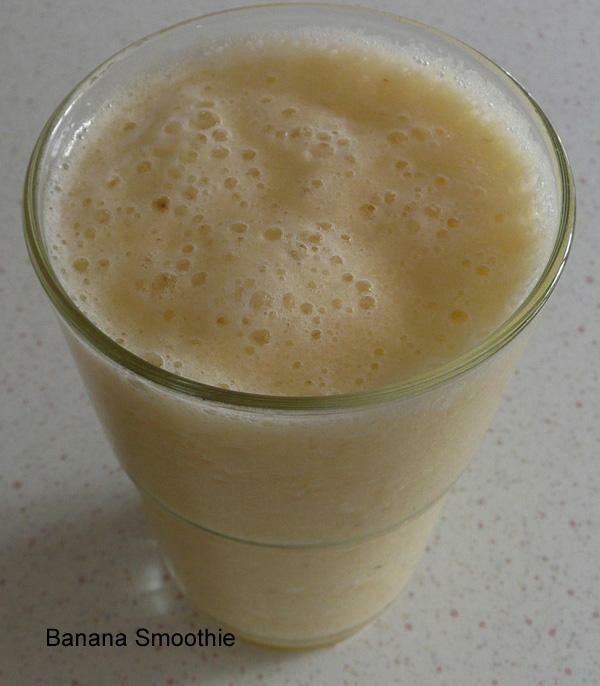 Generally, a smoothie should contain 2-3 fruits, but there are no hard and fast rules. You can use any fruits of choice. some may contain yoghurt, but I prefer without yoghurt generally. You can also add creamed coconut, if you wish. Below are a few ideas under the ingredients section. Quantities are approximate. 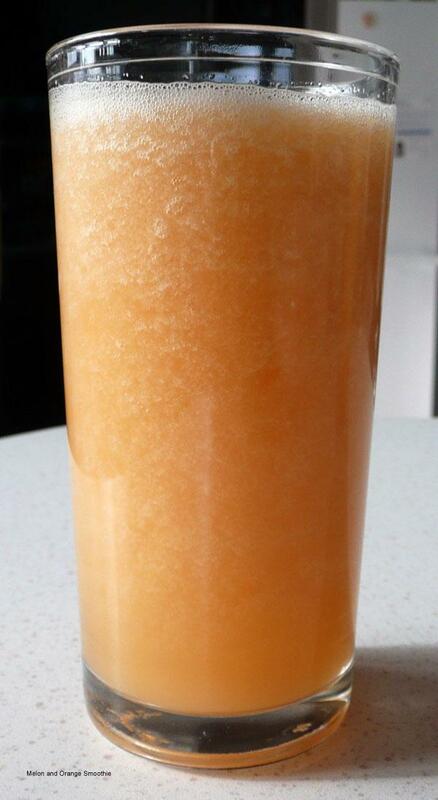 Donï¿½t make a smoothie too thick, it is a drink. You will need approximately 1/2 glass of fruit and 1/2 glass of juice/water, lemonade per person. If using yoghurt, you will need 1/2 cup natural yoghurt+1/3 glass water per person. 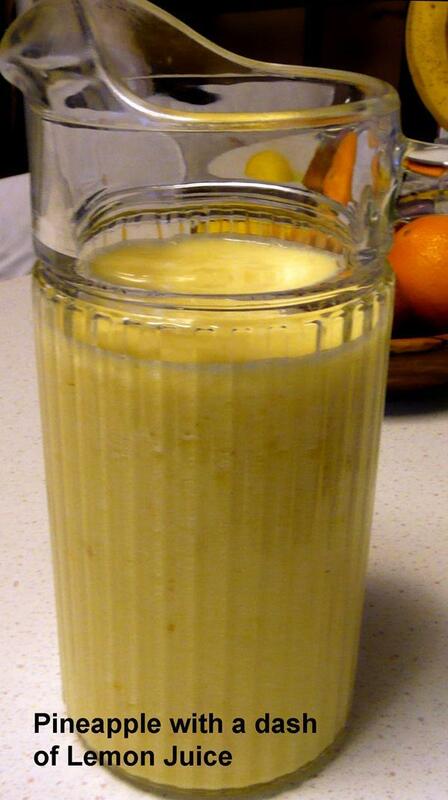 Mango-Banana; 1 mango, 1 small banana, 1 cup orange juice, a dash of cinnamon, 3-4 ice cubes. Prepare fruit; peel, remove seeds, pips, stones. 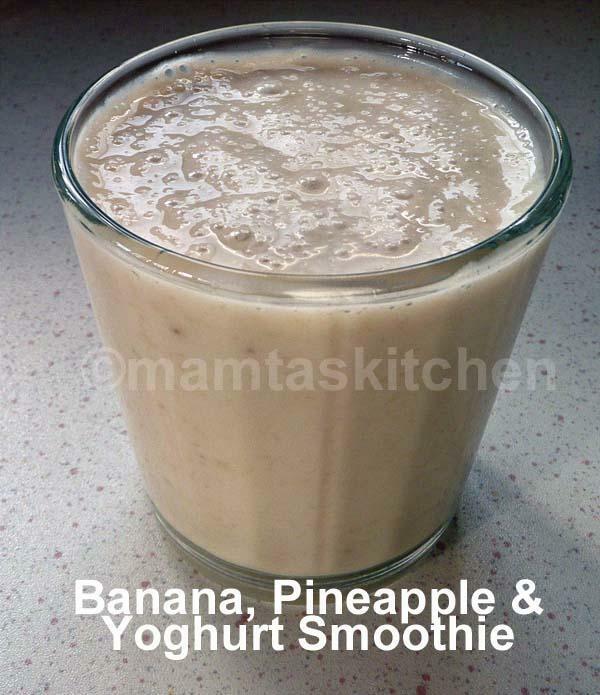 Place all the ingredients, except yoghurt, in a blender and blend until smooth. If there are any crushed seeds in the puree, remove by straining through a sieve. If using yoghurt instead of juice, add towards the end, as you donï¿½t want to blend it for too long, butter might separate if you do. Add the liquid you have chosen and blend together for a few more seconds. Check and get it to the thickness you like, by adding more water/juice if necessary. Add a handful of ice cubes and give a quick whiz. Serve immediately in tall glasses, garnished with fresh mint. For an extra kick, add a tot of white rum or gin. For an Indian taste, add 1/2 tsp. Chat Masala per glass, instead of sugar or honey!